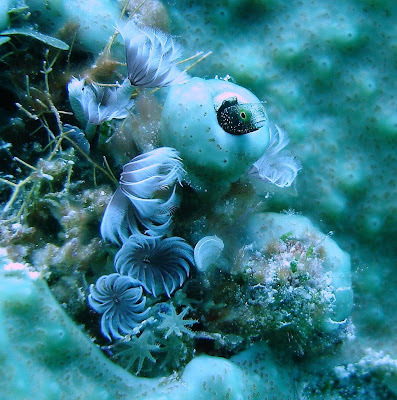 We're going to the Caribbean to look at a few examples of Tube Worm Blennies, species which belong to the genus Acanthemblemaria. 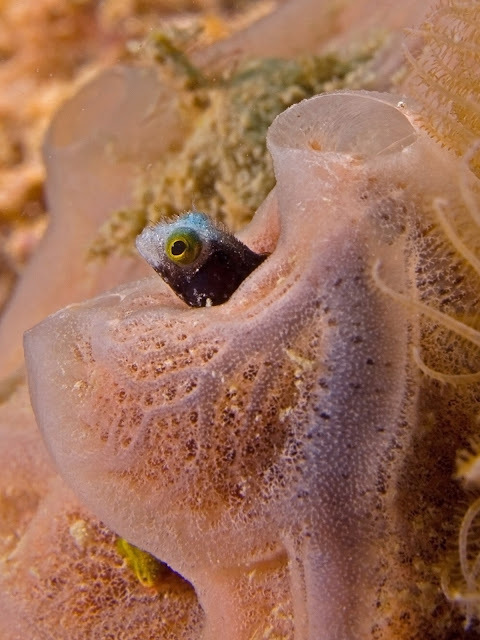 Many of them, like the Roughhead Blenny, are barely an inch long! Secretary Blennies are bigger at 5 cm (2 inches) in length but they're still dwarfed by the corals they call home. Tube Worm Blennies get their name from their habit of living inside the abandoned housing of tube worms. 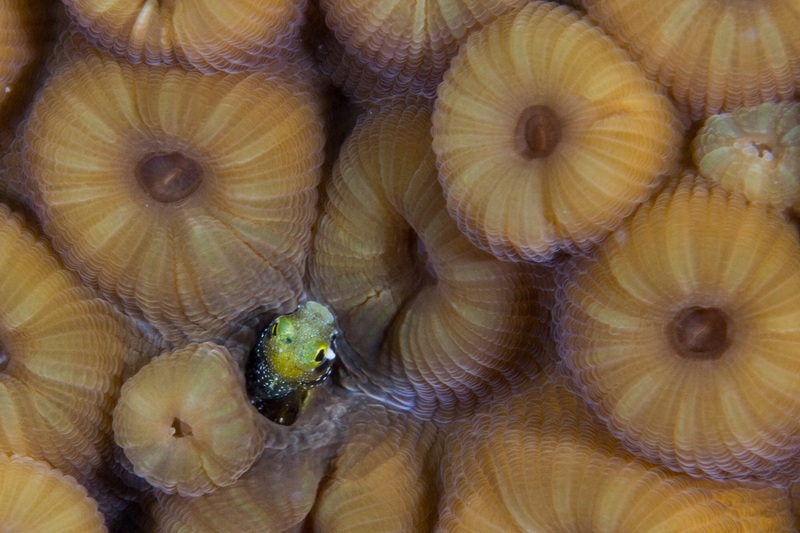 The worms burrowed into the coral to provide themselves with a safe place to live and when they die, the blennies take over from the dearly departed. The tube worm's endeavours will not go to waste! 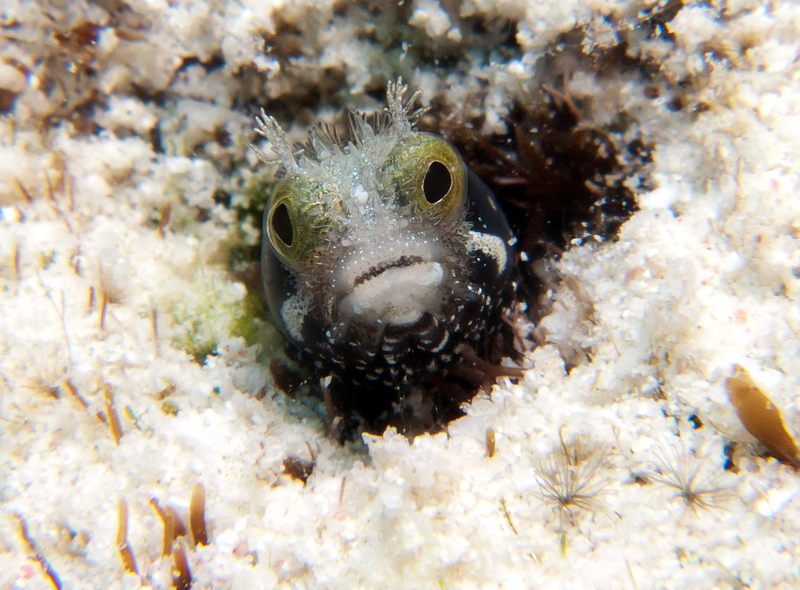 With nothing but their head poking out of the safety of their tube, these blennies can look out for any tiny prey that may drift by. They rush out to grab it in their toothy maw before returning to their hidey-hole. We should all have a special place in our heart for tiny, spiny blennies.